Many times, physicians need further study by way of imaging tests to determine your cause of injury or illness. CT Scans, X-Rays, MRIs, and mammograms are just a few common radiology procedures. However, recent patient comments are citing long wait, privacy, quality, and rude staff as dissatisfiers in imaging centers. The rug is dirty, the staff is loud where you can hear every word of other folk's issues. Had to wait almost THREE hours! DO NOT GO HERE!!! Obviously getting any medical exam can be stressful. The staff could not have been less friendly - receptionist barely looked up, nurses was rude... Nevermind the fact that they were running EXTREMELY late and I was left in the waiting room with nothing to read but outdated magazines (TIME Magazine from Nov '09 - it's now May '11!). Then I was left waiting in the dressing room with several people walking by completely ignoring me. You couldn't pay me to go back here!!! I have a mass in my left breast. When I went to this facility for a biopsy, they first uncovered the wrong breast. They began to prep the right breast. I had to stop and correct them. Then they performed their procedure, a vacuum biopsy where they were supposed to remove the small mass and calcification and implanted a "marker". They took an "after" mammogram that revealed that they took out the wrong tissue. According to the marker they completely missed the original mass by quite a ways. The receptionist first told me that she just received the request for an x-r as of Monday and that it would be 24 hours before we could get it. When asked when (what time) I could get it she again said sometime in the morning. I asked again what time, so that I could take it to the damn doctor's office with me (knowing that my mother would be billed for it) and she said probably it would arrive sometime today then told me that she would not listen to people cussing at her and hung up. 1. You are your own best patient advocate. The clinical staff has strict protocols to follow in carrying each exam but mistakes, as we see from the above example, can and do happen. Be sure to ask questions, especially if the technician is saying something different than the doctor ordered. Ask for a manager if confusion still exists after the technician is done explaining. 2. Call ahead to determine wait times regardless of whether or not you have a scheduled appointment. This will give you more options - cancel and reschedule, find another center, arrive later, to pass the time. 3. Dealing with rude people is challenging in any environment, but especially when you are coming in for tests for your illness or injury. Most likely, you are under stress from having the test and the thought of what the result could be. There is never a reason for a health care provider to be rude to a patient. In the event you are in a situation where a rude staff member is interacting with you, remain calm. Depending on the situation, you may ask to speak to their manager or mention the negative interaction with your technician/receptionist (who ever isn't the rude person). The sooner other staff learn about these negative behaviors, the more they can take action to influence the person to improve. 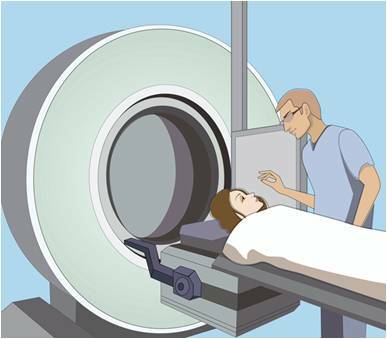 Is your experience with imaging centers (radiology centers) similar or different than those above? Find your radiology center and take a quick survey. You will help others looking for quality health care providers.